Our specialist Goring Hall Hospital is based in Goring-by-Sea, however it is open to people across the UK for treatments. 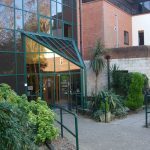 Our private hospital in Goring-by-Sea offers patients the very best facilities. We pride ourselves in offering private hospitals in West Sussex with leading consultant surgeons. 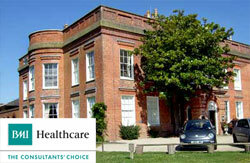 Goring Hall Hospital is perfect for patients searching for private hospitals in West Sussex. Nuffield Health Chichester Hospital is situated on the northern edge of the city centre and was built in 1992 to serve the local community. It provides a comprehensive range of services with the most up to date technology and medical equipment to ensure the best possible medical care. The facilities at our hospital have been designed to meet patient needs and all of our rooms have en-suite facilities to make your stay as comfortable and private as you need. Situated in the heart of the South Downs and with the resources and high safety standards of a high-functioning acute hospital, our private patient units offer local, private healthcare to insured and non-insured patients.